@Non Pol.sci candidates: Even for General studies (Mains), some of this modules are important e.g. EPS-07, MPSE-001 etc. for IR/Diplomacy. Read the index and download accordingly. @Pols. sci. 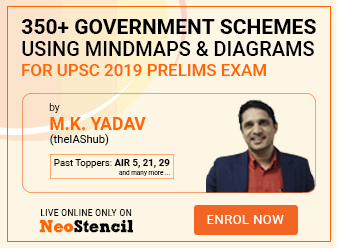 candidates: Prepare according to the UPSC syllabus topics, Not all IGNOU BA, MA PDFs are important for exam. Indian Political Thought : Dharamshastra, Arthashastra and Buddhist traditions; Sir Syed Ahmed Khan, Sri Aurobindo, M.K. Gandhi, B.R. Ambedkar, M.N. Roy. Civil Disobedience; Militant and revolutionary movements, Peasant and workers’ movements. Principles; Parliamentary System and Amendment Procedures; Judicial Review and Basic Structure doctrine. The Union Government: Envisaged role and actual working of the Executive, Legislature and Supreme Court. Commission for Scheduled Tribes, National Commission for Women; National Human Rights Commission, National Commission for Minorities, National Backward Classes Commission. State in comparative perspective: Characteristics and changing nature ofthe State in capitalist and socialist economies, and, advanced industrial and developing societies. India and the UN System: Role in UN Peace-keeping;demand for Permanent Seat in the Security Council. How to download study materials. ?